Viknesh Vijayenthiran November 8, 2017 Comment Now! Mercedes-Benz’s updated 2018 GLA has only just gone on sale work on a successor is already well underway. 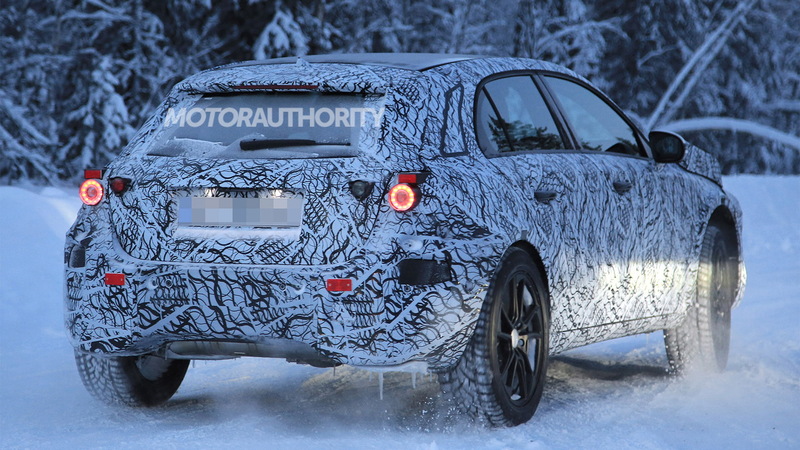 The new GLA is expected to be unveiled in 2019, as a 2020 model, and our latest spy shots and video depict one of the car’s first prototypes. It may look like one of the prototypes for the new A-Class hatchback set to be revealed in early 2018, but the GLA testers have a taller ride height and wider wheel arches. 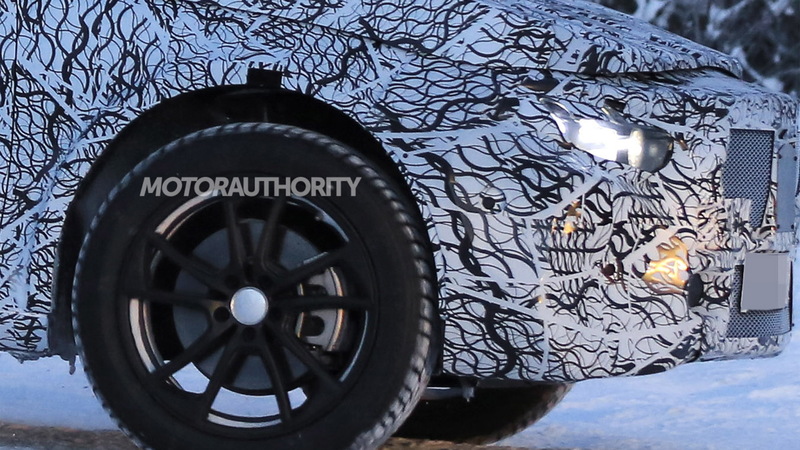 One of the shots also shows the new GLA being tested alongside the current model. 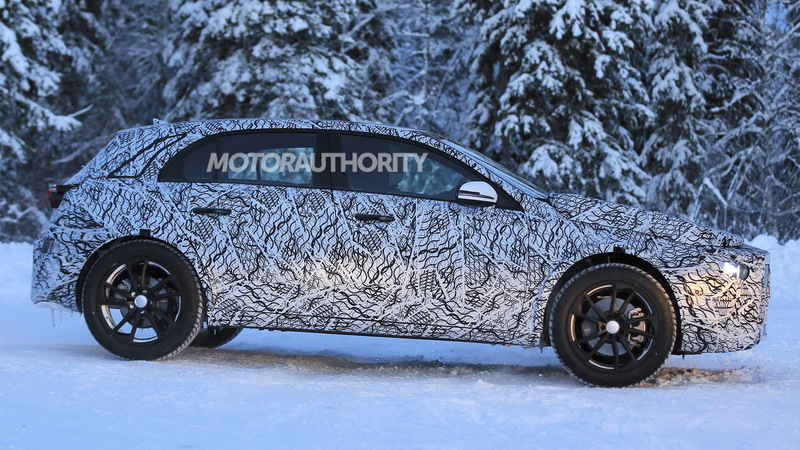 It means the new GLA will be more of a raised hatch than a true crossover SUV. The design appeals to older buyers that appreciate a vehicle that’s easy to get in and out of, but aren’t looking for an SUV. Note, Mercedes will cater to buyers in the compact SUV segment looking for something rugged. A new model thought to resemble a miniature G-Class is in the works. It will be one of three new compact cars coming from the German firm. 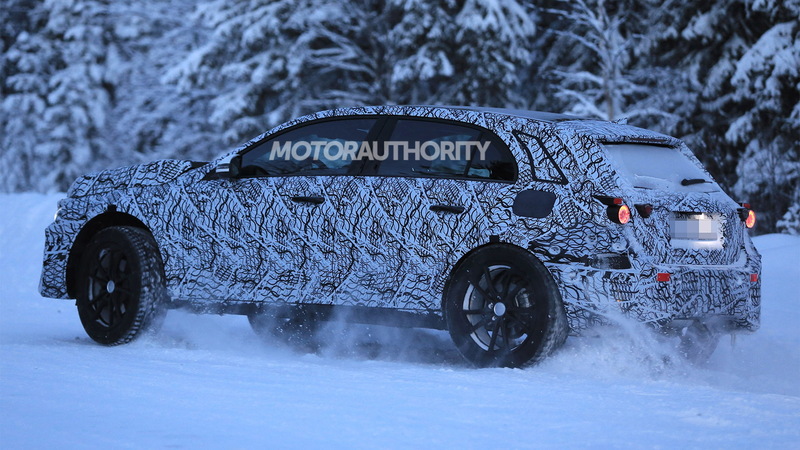 The others are an A-Class sedan and an electric hatch offering to be dubbed the EQA. 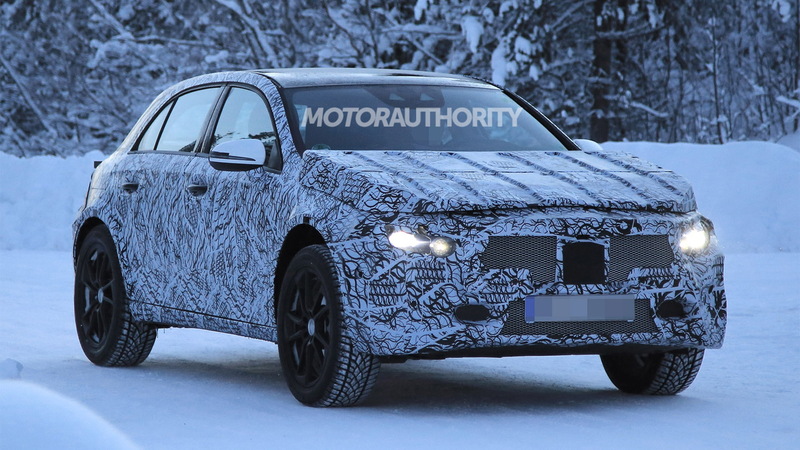 The cars will all be based on a next-generation version of the MFA (Modular Front-drive Architecture) platform used in current compact cars from Mercedes. Referred to as MFA2, the next-generation platform will bring weight savings plus greater capacity for alternative powertrains. As for the new GLA, look for inline-4 engines to feature throughout the range, including a possible hybrid option. We’re also expecting another round of the Mercedes-AMG GLA45 with a newly-developed 2.0-liter inline-4 spitting out 400 horsepower or more. The current GLA45 has 375 hp on tap.